Answer: When they are engaged and ready to take action for you! They have a custom landing tab on Facebook for the campaign, tied to a contest: they’re asking their fans to share their pets’ stories and photos. Everybody who uploads a photo gets a discount coupon to their online store. Their CEO shot a video and blogged about the milestone. They issued a press release and will be sending a message to their full house file. And, there’s a banner on their home page. They highlighted the campaign in their email newsletter – before, during, and after the event. 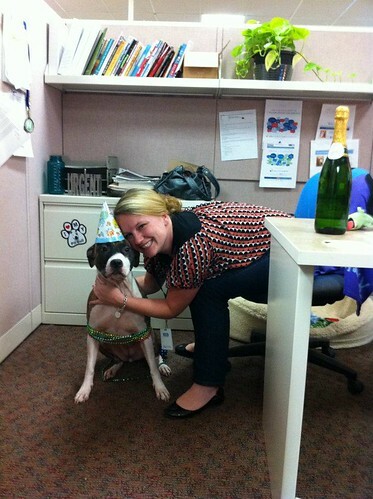 Like all rock star nonprofit social media mavens, Carie Lewis is a curator of social media metrics. She and her team build their integrated strategy around results metrics. Says Carie, “We look at three things: actions taken, donations made, and customer service wins. That’s also how our department has been able to obtain more resources to handle the volume we have.” They also have metrics for specific campaigns and Carie is very good at tracking tactics against data to improve and get better results. For this campaign, they wanted to create a celebration so that fans could engage and participate in the fun. They wanted to create a personalized experience that makes the fans feel like they are a part of something really great that’s why they created a video and an opportunity for their fans to share their photos of their pets and why they love them. Further, Carie is a master of capturing data and reflecting on what works and what doesn’t – channel by channel. Take for example her very useful tips about how to activate Facebook Fans to share and take action. Conversely, when they are helping a campaign promote their work using social media, they have a “menu” of social media tactics that we review with them, letting them know the options and use cases for each. 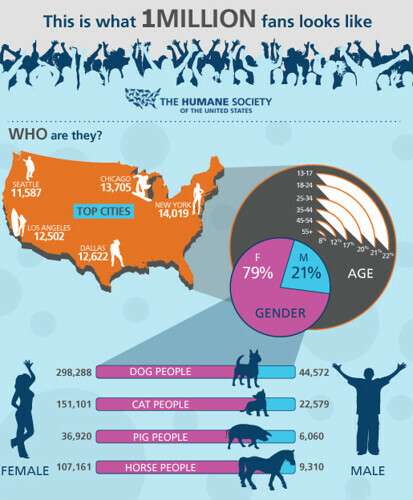 As Carie notes, “This has really shown others that don’t work in social media everyday that a Facebook post on HSUS’ page isn’t always the best answer. 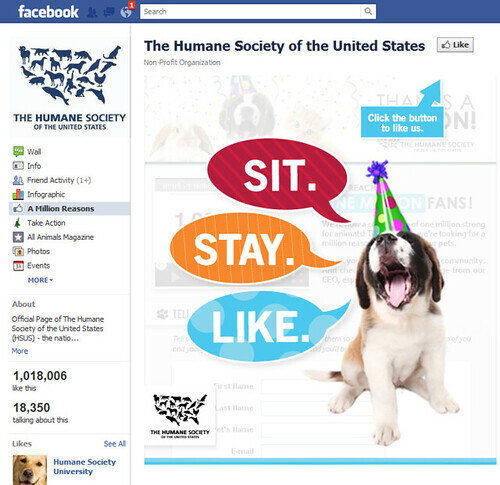 Social media is no longer an afterthought in communications at HSUS.” Here’s an example of some of that template, notice they ask for a screen capture of the action and to record any feedback. The biggest thing I’ve learned from measuring is to write down the metrics before you launch the campaign so you know what it will take. We actually have a measurement template that says “if you’re doing this, you should measure this.” For example, if you’re doing a Facebook event, you should measure # invited, # RSVPs (yes, no, maybe, not responded), # registrations sourced from Facebook, # wall posts. How is your nonprofit measuring integrating social media campaigns? LOVE this, and woo hoo Carie! Good info. I feel like my team does a great job of sharing across the organization. We share our social messages of the day with over 300 (self-opted in) staffers across the country via a Yammer.com group – and then coordinate in person at a weekly all communication leads meeting where we talk about what’s coming up the next week and how we can all leverage. Definitely feel weaker on the stat collection – we’re collecting, but not as much. I like how hers focused on actions. Gonna have to pick Carie’s brain on that! Thanks everyone, and thanks Beth for the opportunity to share our story! What a great example of a nonprofit (or any organization, for that matter) doing social media right! Engaging fans, giving them a reason to interact, and having strategies and policies in place. Thanks Carie for sharing! Tammy — the volume of data collected is not important – it’s having a process to reflect and learn and use it to improve! Yo ingrese a esta pagina, http://ailaik.net/login/ me loguie, segui todos los pasos y en un par de horas tenia fans, alrededor de 2000 por dia… a mi me resulto, espero que a ustedes tambien!